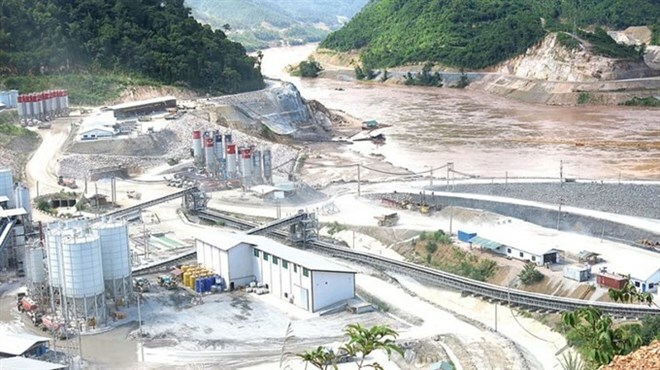 Can Tho (VNA) - Countries in the Mekong River basin have been urged to stop building hydroelectric dams on the river’s main stream as alluvial soil and vital nutrients are being seriously depleted. Dr Duong Van Ni of Can Thp University’s environment faculty said that continued building of such dams posed a threat to water security in the region. Ni spoke at an international workshop on water-security risks in Vietnam’s Mekong Delta held on May 29 at Can Tho University. He said that an American consultant suggested replacing a hydroelectric dam in Cambodia’s Kratie province with solar energy power. But the idea was rejected. Although hydroelectric dams have advanced technologies, they still affect water flow in Vietnam’s Mekong Delta region. Power development in the future should not be based on hydroelectric plants because hydroelectricity “is not as clean as we think”, Ni said. Many investors mistakenly believe they will recoup their investment capital quickly with hydroelectric dams, he added. Countries in the Mekong River basin should consider the pros and cons of developing dams, he said. Besides the hydroelectric dams which China is building on the upper Mekong River, countries on the lower river are planning to build 11 dams. Maureen Harris, Southeast Asia programme director at International Rivers, said that construction progress of Xayaburi Dam in Laos, for instance, has reached 75 per cent of its plan. It is scheduled for completion and commercial operation in 2019. Construction on Don Sahong dam in this country started in June 2016 and now its construction has completed more than 25 percent, she said. Cambodia is also planning to build some dams including Sambor dam with the capacity of 2,600MW, and the 900MW Stung Treng dam, she said, adding that electricity from those dams is proposed for domestic use and sale to Vietnam. In the future, the Mekong River Delta in Vietnam will face a serious decrease of water, alluvia soil and land, which will affect agriculture in the region, Tuan said. “We can save water by using alternative wet and dry methods, and by reducing rice areas in the dry season, changing rice to upland crops that need less water, and storing available water via wetlands, rain harvesting and flood water retention,” he added. Countries in the Mekong River basin should work together more closely to create equitable and sustainable water trans-boundary governance, as well as develop partnership strategies and a better legal framework, he said. Tran Quang Tho, deputy manager of the science and technology division at the Southern Institute of Water Resource Planning, said that solutions for water storage were also necessary. He said Vietnam should develop a strategy to attract funds from both the public and private sectors to invest in irrigation works. The operation and management of the systems that exploit water sources should also be modernised, he added. Ho Thi Thu Ho, deputy director of the Pedagogy Development Centre and expert on community education at Can Tho University’s School of Education, said that students in the Mekong Delta should study these environmental issues as part of the school curriculum. They would have a better understanding about the region’s problems, which could inspire them to find solutions, Ho said. Students at Vinh Xuong Secondary School in An Giang province’s Tan Chau town, for instance, have developed an initiative to make a water-filtering machine.